This policy describes how Parkers will use your personal data. Parkers is a trading name of Xperience Franchising Ltd, 2 St. Stephen's Court, St. Stephen's Road, Bournemouth, Dorset, BH2 6LA (the "Company") which is a franchisor and operates through a network of local, independently owned franchisees. Both the Company and its franchisees are data controllers of your personal data. 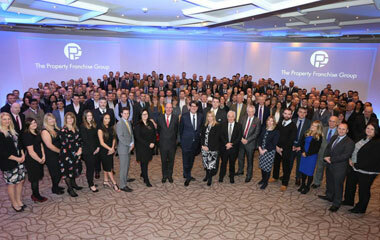 For a full list of Parkers franchisees see https://www.parkersproperties.co.uk/pages/offices the "Franchisees"). References to "Parkers”, "we" or "us" in this policy describes the Company and the websites which you are visiting. • Information about you is shared with partners as described in this policy who have undertaken to hold your personal data in compliance with applicable laws. • Where we and our Franchisees rely on your consent for direct marketing purposes, you can withdraw this consent at any time. • Other agents/companies as and when required for purposes which will be disclosed. o on other occasions where we ask you for consent, we will use the data for the purpose which we explain at that time. o In response to requests by government or law enforcement authorities conducting an investigation. • Insurance and warranty companies where you have decided to buy a product or service through us. Personal data will also be shared with third party service providers, who will process it on behalf of Xperience Franchising Ltd to help us run this website and also to provide our services to you. Such third parties include providers of identity checking, referencing, database management, email communications and live chat services. Where we and/or our Franchisees process personal data in connection with performing a contract, we keep the data for 7 years from your last interaction with us. Where we and/or our Franchisees process registration data, we do this for as long as you are an active user of our sites and for 7 years after this. • Strictly necessary cookies: These cookies are essential in order to enable you to move around our website and use its features, such as accessing secure areas of our site. Without these cookies, any services on our website you wish to access cannot be provided. • Analytical/performance cookies: These cookies collect information about how you and other visitors use our site, for instance which pages you go to most often, and if you get error messages from web pages. We use data from these cookies to help test designs and to ensure a consistent look and feel is maintained on your visit to the website. All information these cookies collect is aggregated. It is only used to improve how a website works. To find out more about Cookies please visit: http://www.allaboutcookies.org or see http://www.youronlinechoices.eu which contains further information about behavioural advertising and online privacy.